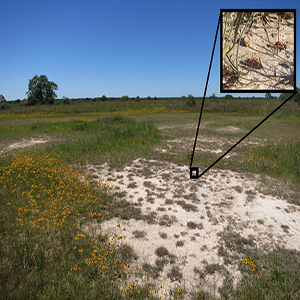 An OU te am from the Geographical Ecology Group conducted 54 experiments in both grazed and ungrazed grasslands to determine the salt cravings of insects and the types of insects that crave salt. NORMAN–A University of Oklahoma team from the Geographical Ecology Group has published a new study in the journal Ecology on the nutritional preferences of diverse insect communities from Texas to Minnesota. The OU team conducted 54 experiments in both grazed and ungrazed grasslands to determine the salt cravings of insects and the types of insects that crave salt. The OU team found that insects not only crave salt, but will search for it in their grassland habitats. This entry was posted in Press Release External by Public Affairs. Bookmark the permalink.